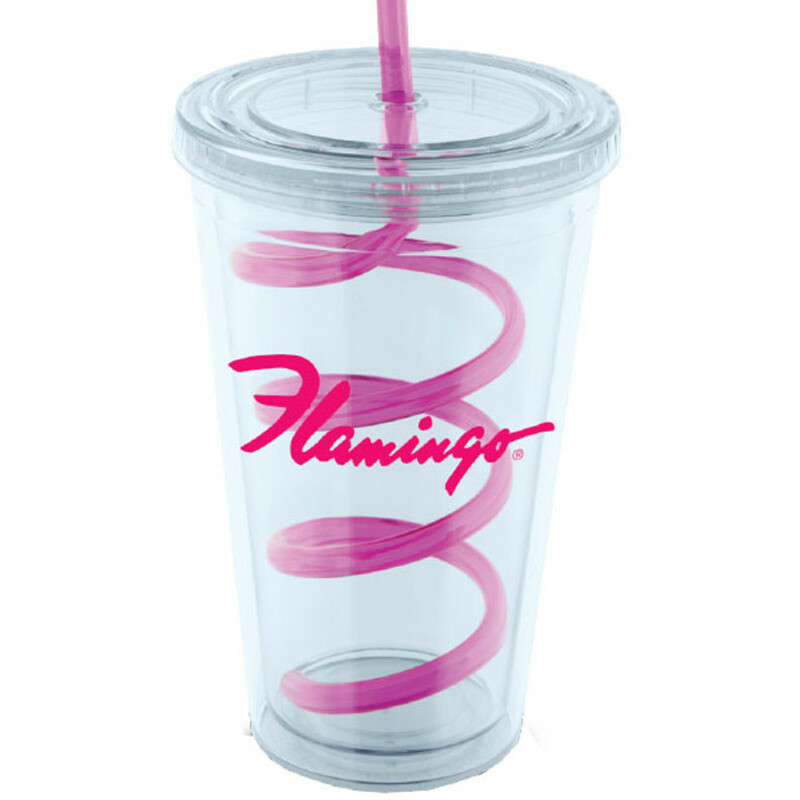 Put your design on these fun 16 oz. 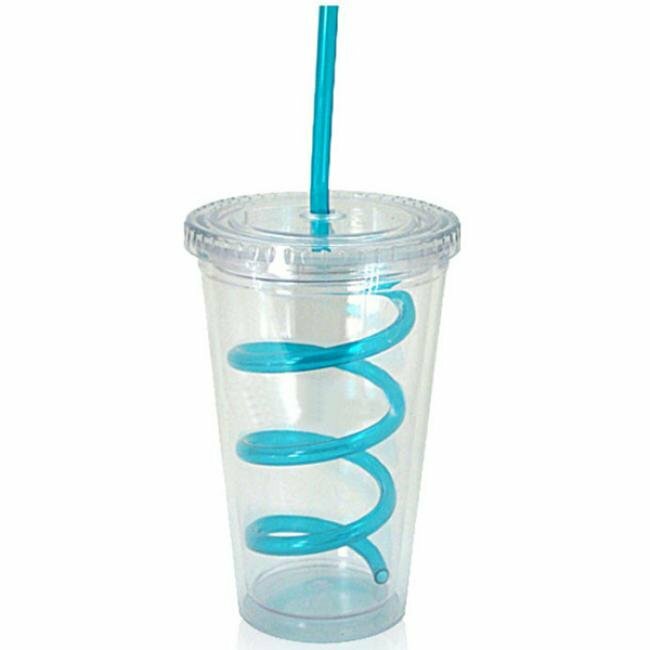 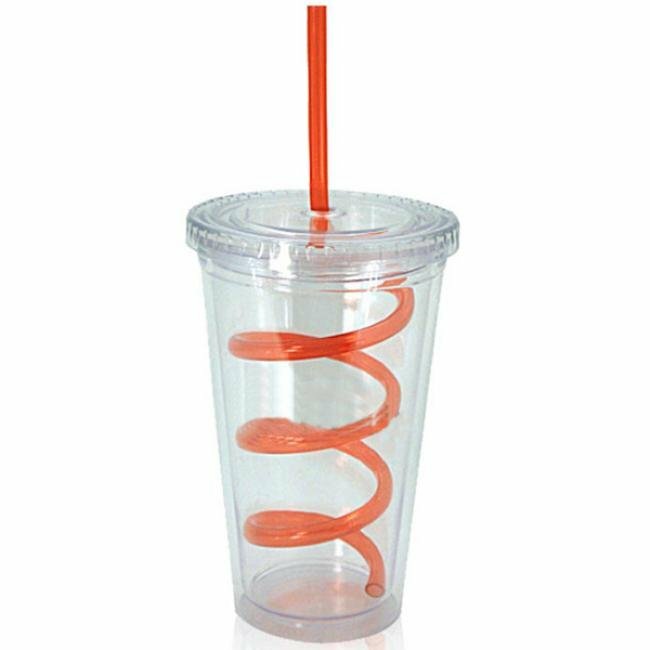 Double Wall Tumblers with fun, Crazy Swirl straws. 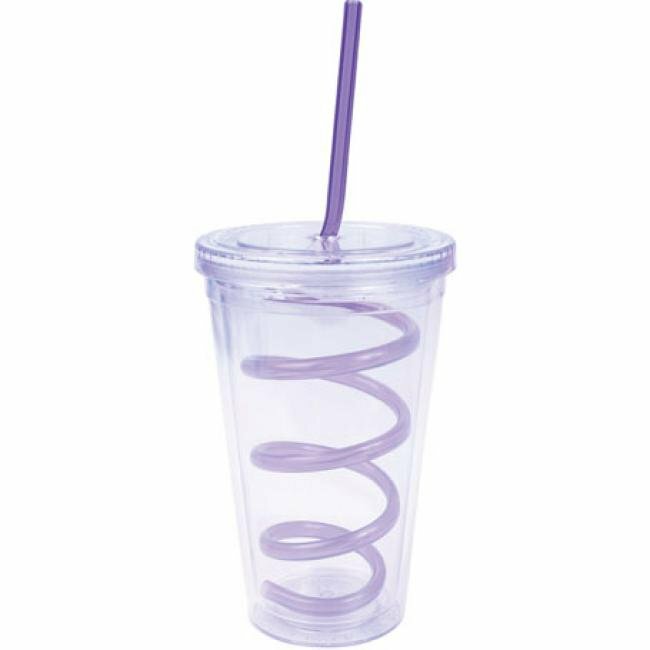 Add a little excitement to your clear acrylic tumblers with these vibrant and fun colorful straws. 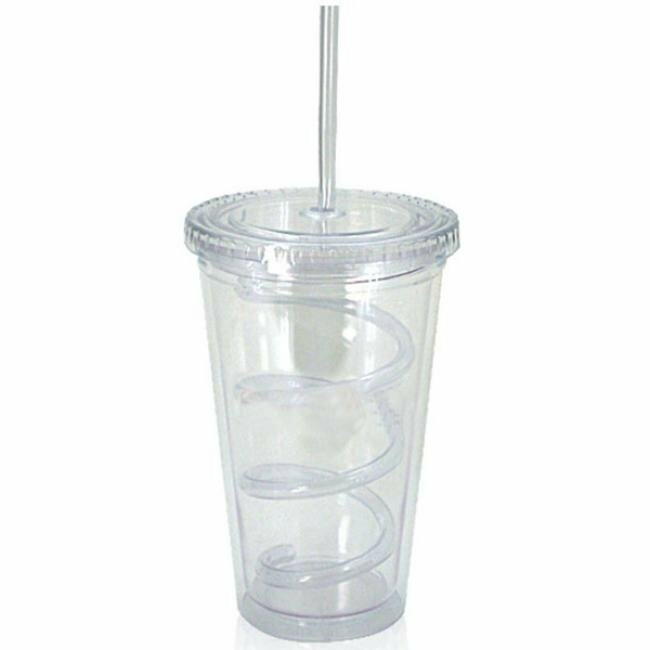 With 6 different colors of straws to choose from, these clear acrylic tumblers will surely match any logo or artwork color to make a one-of-a-kind promotional product. 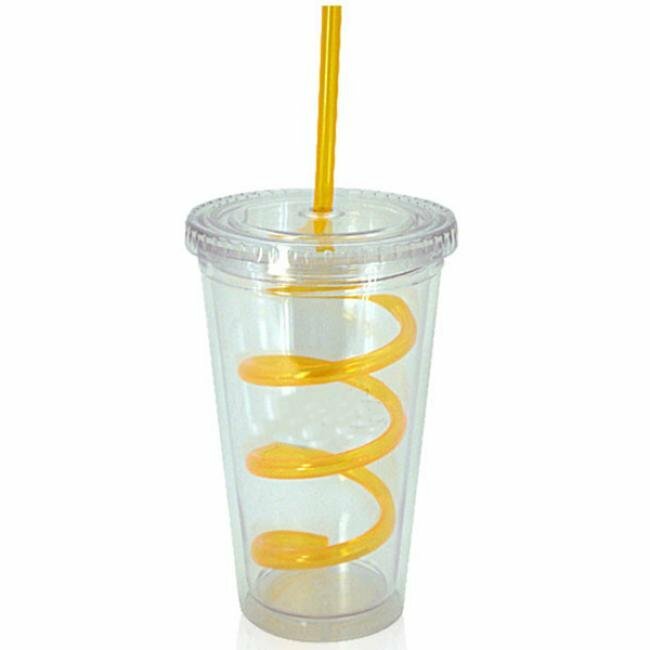 Further, the large imprint area gives these plastic tumblers a large canvas to prominently display your company's impression. 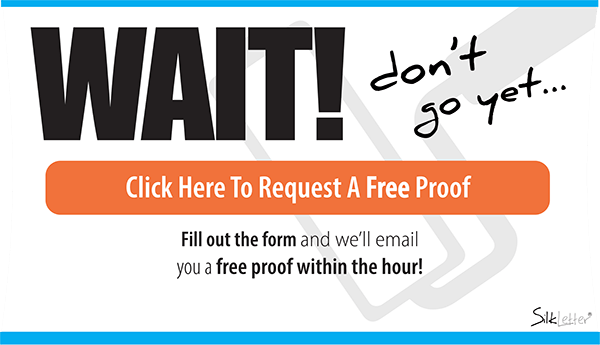 As with all SilkLetter products, you will receive fast turnaround times, free artwork and bargain prices. 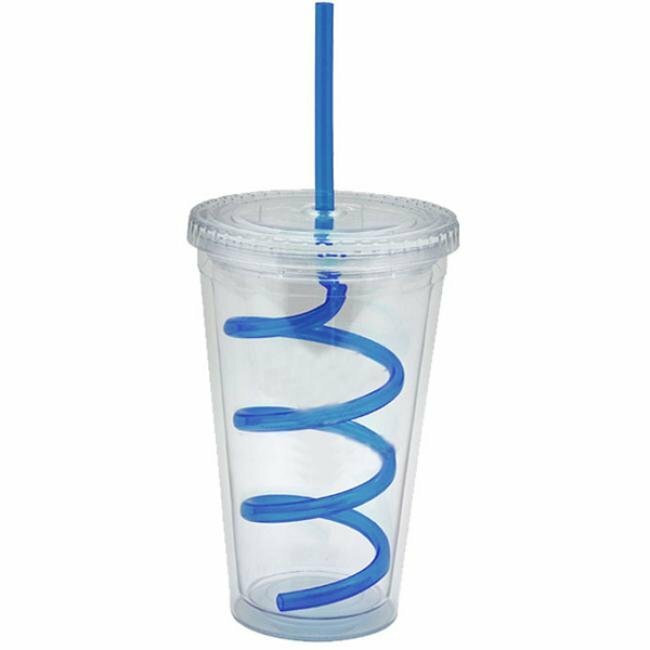 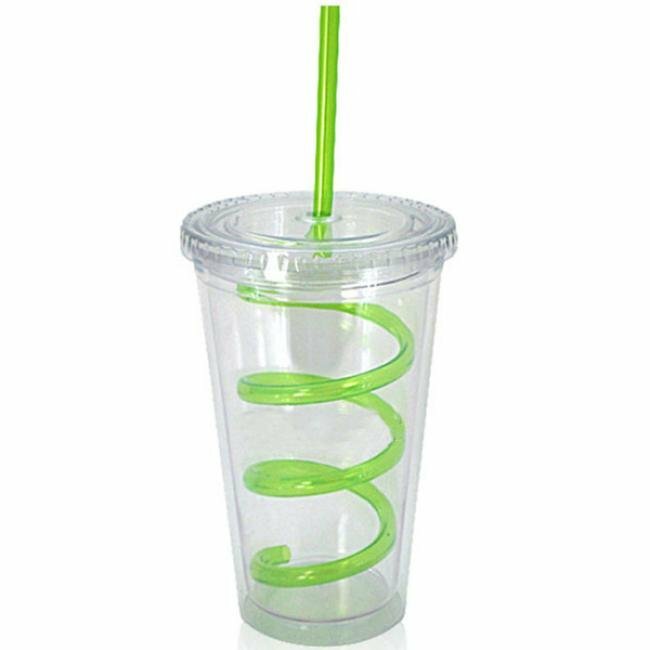 Order these double wall acrylic tumblers with crazy straws today and start promoting your company tomorrow.